The first 2013 issue of TGO magazine is out - given the odd way magazines work it has February on the cover. My contributions are a feature on winter backpacking that tells the stories of a camping trip in the Cairngorms and an igloo trip in Glen Affric; photographic mishaps and thoughts in my backpacking column; a review of PHD's Design Your Own Down Jacket website feature; a first look at Polartec's new Alpha insulation and some ProTrek socks; plus a review of twelve base layers. Elsewhere in the gear section of the magazine I liked Daniel Neilson's review of Smartphone apps - there's a few I'll be downloading. Daniel looks at the recharging problem but doesn't mention that if you have an Android phone you can just carry spare batteries, which are very light weight. 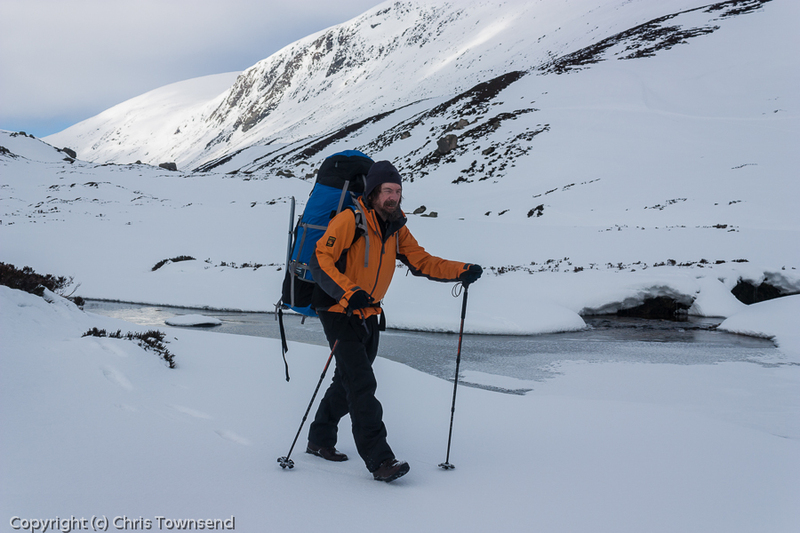 Also reviewed by Daniel are Montane's Polestar down jacket and The North Face's Polar Hooded Power Shield jacket. Away from gear and into the hills Carey Davies spends a winter night in a bothy in the Lake District; the retiring wardens of the remote Black Sail Youth Hostel in Ennerdale are interviewed; and Ed Byrne goes rock climbing with Andy Kirkpatrick. In The Hillwalker's Library Jim Perrin praises Rebecca Solnit's A Field Guide to Getting Lost, a book I don't know but will be searching out -I can't resist that title! Roger Smith worries about threats to Natural England in his Environment column. The Hill Skills pages cover ice axe arrest; bad weather navigation; cold injuries (with a wonderful picture of a chilly-looking John Manning) and lightning. Thanks for that info Zabdiel. That's a shame. And remiss of HTC - I have a Desire S that does have replaceable battery. (I removed your duplicate post by the way). Solnit's writings on walking are not to be missed! Her "Wanderlust" is respected as one for inclusion in the canon of walking literature, always quoted in bibliographies of other walking books. Paul@walkitcornwall.